Save feed, save time with our Automatic Feeder. Sparrows, rats and mice can be a real nuisance, helping themselves to your costly feed and spreading disease and parasites to your birds. At Sunset Croft we use and recommend automatic step-on feeders. Your feed stays dry, hygienic and pest proof, you save time and chickens have no need to gorge at one or two daily feeds. Using an auto feeder takes the guess work out of how much to feed out and gives you the freedom to not have to feed the chooks every day, especially if you're going away for a few days. Your birds will never go to bed hungry because you forgot to feed them or are late home and they can graze at leisure and will be more contented. You will spend considerably less on feed by not sharing it with sparrows and rats and these feeders will easily pay for themselves within a year. 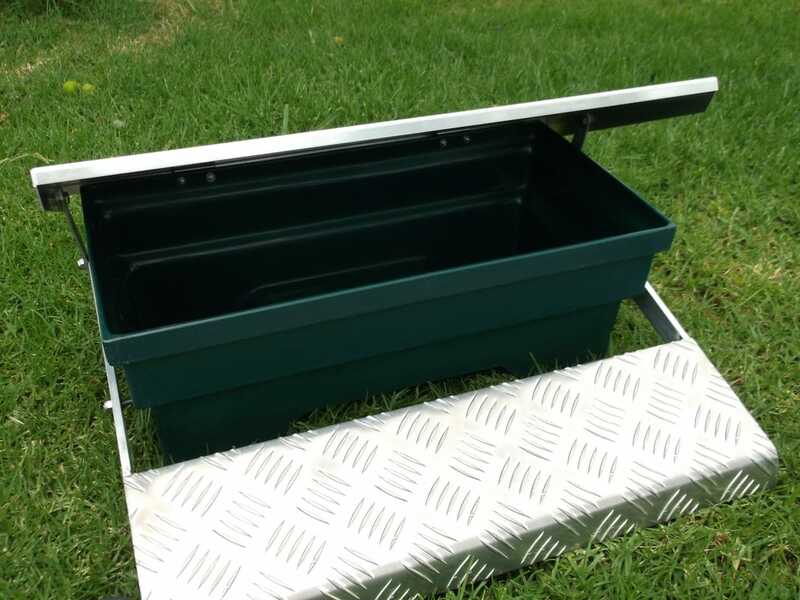 Our feeders are hand crafted in New Zealand and built of quality polyethylene, (the stuff water tanks are made of) with alloy rivets, nuts, bolts and hinges, with a non-skid treadle. They are more sturdy and weatherproof than other lightweight models on the market which tend to blow over in a gust of wind or get bent and lose their screws. Our feeders are built for New Zealand conditions and should last a lifetime. An instruction page is included on how to train your birds, though all the birds we breed and sell are familiar with using these feeders, so you can take one home when you pick up your chickens and you're all set. Takes just 500 grams to open. No assembly required. Our Auto Feeder holds 9kg of feed. Be aware that small chickens may get trapped inside the feeder if it is not kept full. There is room inside the feeder for a small container for kitchen scraps or wet feed. Suitable for all types of poultry, including ducks, Guinea Fowl, turkeys and pheasants.